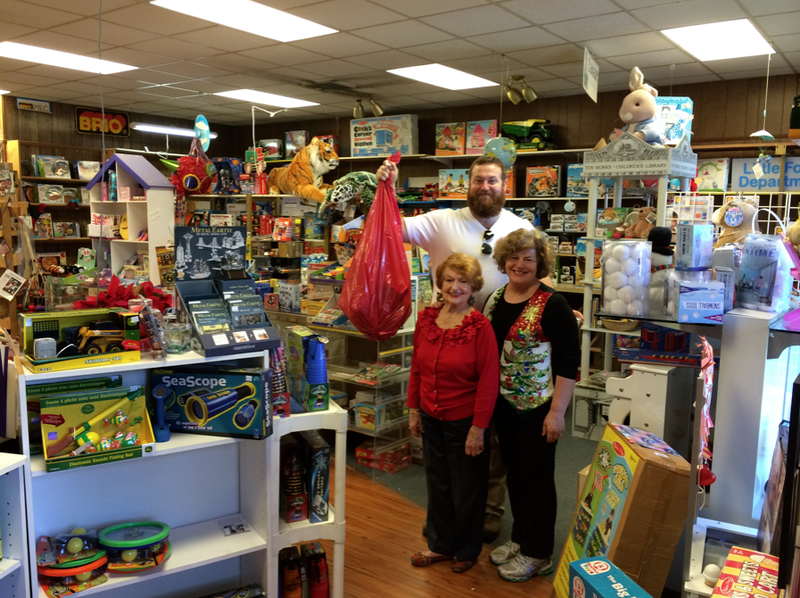 #2,180 Ocean Springs. 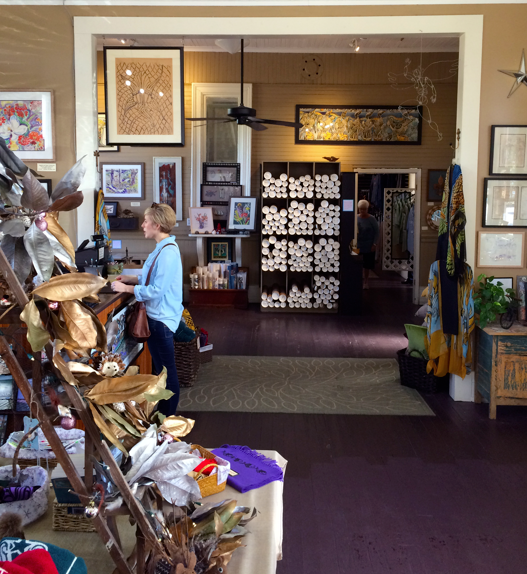 – Laurel Mercantile Co.
Now reading: #2,180 Ocean Springs. We woke up after such a great night’s sleep, the first night in weeks when I didn’t feel that cloud of worry creeping into my conscience just as sleep should have been creeping in. I slept like I did that night I had my first surgery at SCRMC, which is to say, like they were paying me to do it. We were asleep in our bed by 12:30 am (early!) and when my alarm when off in the total pitch black dark of the hotel room, I thought it was about 4 am and I had set the alarm for the wrong time because it seemed like I had JUST turned out the light. But then I realized how awake and refreshed I felt, and then I realized it was 8:30, and we opened the curtains to the most gorgeously sunny day. 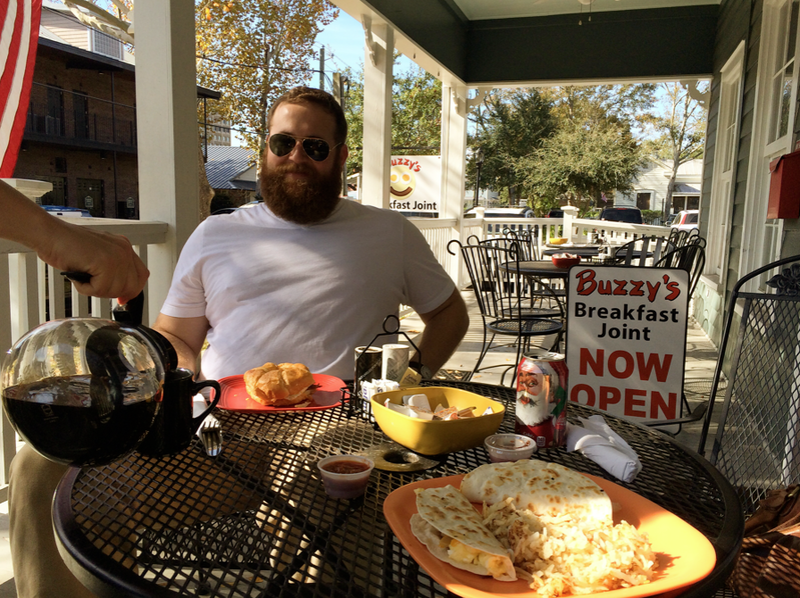 It’s been like spring time all month here, which is disappointing at Christmas, but today we decided to embrace it 100% and head to charming, picturesque downtown Ocean Springs for breakfast on the porch at a little cottage cafe called Buzzy’s. 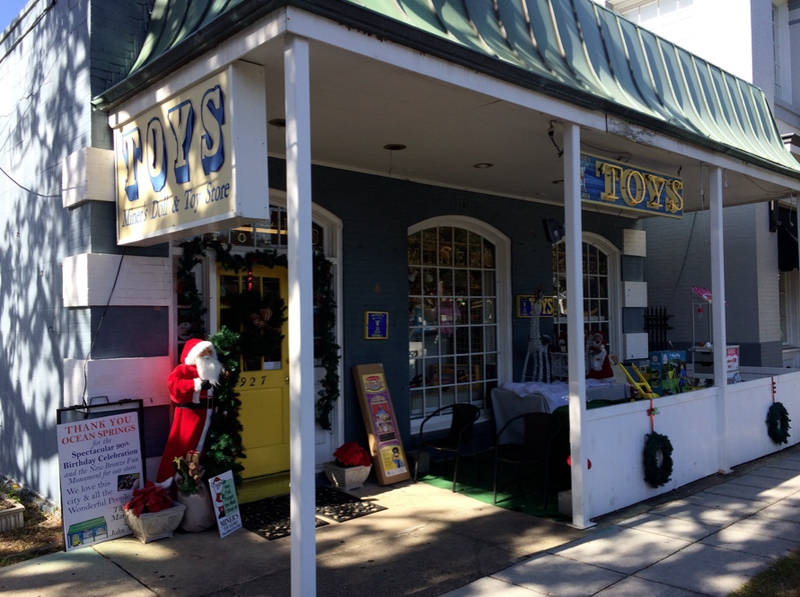 After breakfast we walked over to the adorable Miner’s Toy Store to cross a few things off our Christmas list for our nieces and nephews. Ben always becomes a little boy in there, finding car and truck toys he wants, but today we were on a mission and with the amazing help of Mrs. Miner and her daughter, we found the perfect toys for our girls and boys. 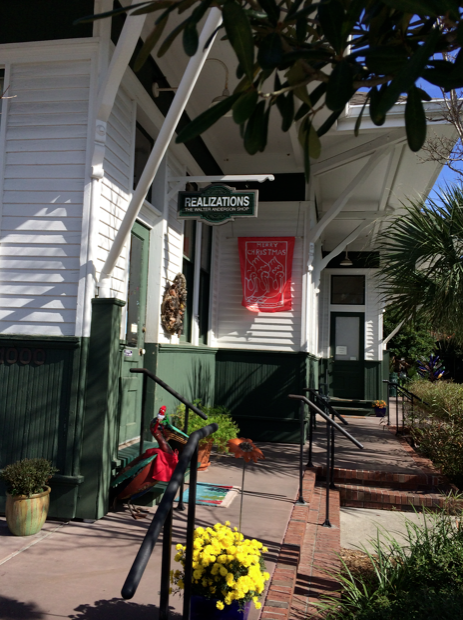 And then across the street is Realizations, the old train station converted into the Walter Anderson store. Walter Anderson was my biggest influence as a young artist in junior high school and I pretty much only wanted to make work that looked like his, though I had no idea how to screenprint anything yet so I faked it with bold, black strokes of my brush and vibrant watercolors. When I see his beautiful, primitive work, I feel a pang of homesickness and think of the print of the 3 fishermen that hangs in my mama’s kitchen, the long alligator print above the cabinets in mine. 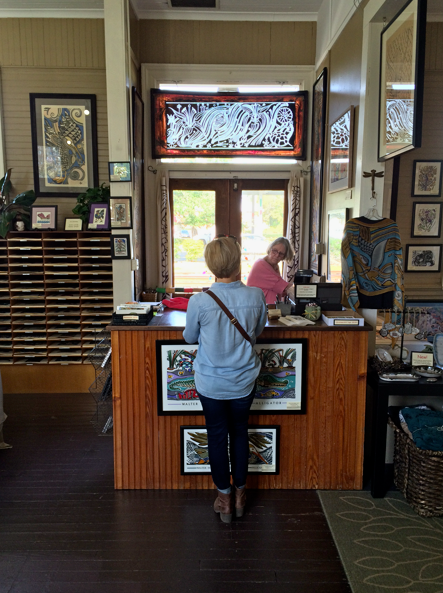 His artwork feels like home to me, and of course I made a stop there for some gifts too. In our families, we just buy gifts for our parents and the littles (while us siblings just give our love and admiration to one another), so today we managed to cross off half our list with things I think they will really like, and we did it by shopping at small family-owned businesses only which means a whole heck of lot to me these days, realizing just how much love and work goes into running a retail shop at Christmas. It truly does make all the difference for those families you’re shopping with, friends. I love every one of you because I know that spending your hard earned dollars in our shops means a lot. You’ve made little investments in us by doing that. Which is a humbling, gracious thing of y’all to do. Did I just go too heavy? Well, afterward we headed back home to Laurel with a quick stop to do a little antiquing to restock our shops with more of the one-of-a-kind items y’all loved so much you snatched them up the minute the site went live. No luck on finding more copper measuring cups, BUT… GOODNESS GRACIOUS WE GOT SOME COOL THINGS! 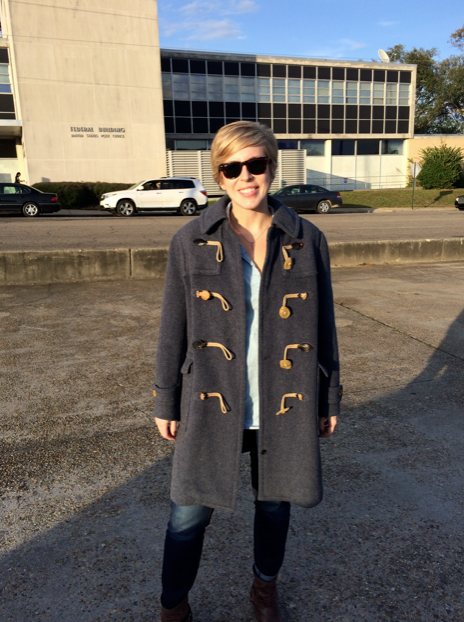 The best of all, this coat that Mallorie may steal right out from under me if one of you doesn’t claim it next week when it goes up in the shop. More on that in a few days! I don’t say it enough, but I want you to know how much it means to me that you come here and read my mostly boring thoughts and days. The blog traffic has increased tenfold and I’m not sure why, but it makes me want to hug every one of you before bedtime every night these last 2 weeks. Thank you, friend. #2,179 Anniversary Lunch + W.